To celebrate 50 years of Led Zeppelin forming, Reel Art Press launched a one of a kind, illustrated coffee table book, in collaboration with the band, covering the group’s unparalleled musical career. The Event, held at the National Portrait Gallery played host to the music elite and friends of the band. 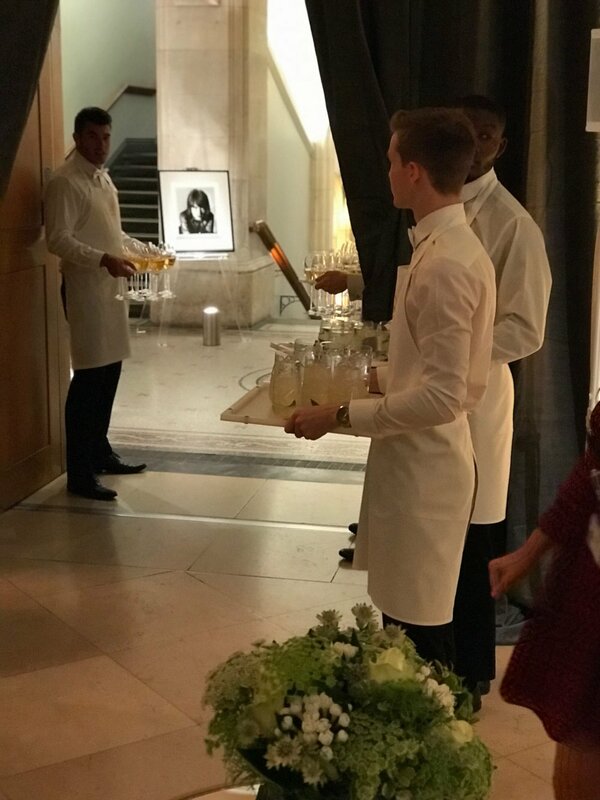 Having only 45 minutes to set the event up, our team of suppliers including Wise Productions, Alexander & Bjorck, Maestra Group and Hayford & Rhodes came together to transform the venue and create the perfect party space. A bespoke carpet and lighting treatment welcomed guests as they approached the National Portrait Gallery, the carpet was cut and installed in only 30 minutes! Alexander & Bjorck’s team welcomed guests with champagne and cocktails as they had their pictures taken at the Step & Repeat wall. Inside the Main Hall, we hung a grey drape around the walls fo the room, creating a cosy atmosphere, a large video mapped projection was used to the wall above the escalator to show highlights of the book. We had great fun working on this event and very much look forward to challenging the impossible in the National Portrait Gallery again.